Press "ON/OFF", it will flash from Mode 2 to Mode 7 at random. 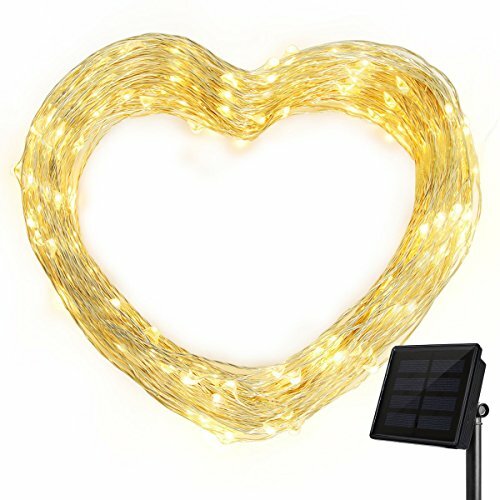 200 BRILLIANT LED STRING LIGHTS --- 200 Super Bright LED bulbs solar string lights on 72ft high quality copper wire. Ideal for decorating your gardens, patio, gate, yard, wedding, party,restaurant,table,tree,lighted valentines day decorations,etc. EASY TO INSTALL --- This solar fairy light made of the copper wire , it's thin and flexible . So you can build the shapes you want easily , it's easy to store also. AUTOMATIC SWITCH --- Ankway outdoor christmas string lights will turn on automatically when the environment is dark and auto off at sunrise.